On arriving in Sydney, Lynn Shepherd’s company was initially housed in the military barracks behind what is now called “The Rocks”. As wives of the soldiers were expected to cook and wash for their husbands and for the single men” Lynn’s wife and children would have shared the barracks accommodation. It did not take long for Governor Darling to decide that the Veterans were going to prove difficult. The new arrivals were “heavier drinkers than the men they had replaced, they were a disruptive influence; they would not discipline the convicts and were frequently mutinous towards their officers”, leading to Governor Darling complaining to his superiors in the War Office. Given Govenor Darling’s impression of the new arrivals it is not surprising that very little time was spent in Sydney before the company was deployed for duty. Lynn, along with his family, was transferred with No 1 Company to Moreton Bay. The family faced another long sea trip before arriving at his new posting in January 1827, the hottest time of the year. National Gallery of Australia. Collection Title: Earle, Augustus. Views in Australia. Sydney: Earle’s Lithography, 1826. The penal settlement of Moreton Bay was an isolated place, set on the northern bank of the Brisbane River. Only hardened criminals, and recidivist prisoners were sent to the Moreton Bay Convict Settlement. It had become a byword for severity, described in the old song, ‘Moreton Bay’, as a place where ‘excessive tyranny each day prevails’. There were few buildings in the struggling outpost when the command was handed over to Captain Patrick Logan in March, 1826, ten months before Lynn arrived. The buildings were unsuited to the hot climate and some inhabitants were still under canvas. The roads were mere winding tracks between the little dwellings and farm paddocks. “A man who came down to Moreton Bay at the same time that I did, was punished with 100 lashes; and to increase his torture he was fastened to a fence so that the mosquitoes might increase his punishment. I forget his name, but had I ever known that free people would take an interest in reading the suffering of criminals, I might have been more particular in jotting down the incidents which daily came under my notice. Logan was a harsh disciplinarian and he did follow expectations of the British Government and Governor Darling that Moreton Bay was a place of punishment. Balancing this he embarked on an extensive program of building and made the colony self sufficient. Hospital, surgeon’s quarters, gaol, barracks for convicts and soldiers, Commissariat Stores and Windmill were commenced during his command and he also began extensive exploration of the district. It can be imagined that the Shepherd’s would not have found this the place that they had hoped for when they took the ship to Australia. There is some evidence of a normal life being established by the family. While the birth of their son, John, was registered in Sydney on their arrival, he was later baptised in Brisbane Town on 19th June 1827 when Archdeacon T H Scott visited the penal settlement and baptised four babies including John. During Logan’s command the first school was opened in Moreton Bay with Mrs. Esher Roberts as teacher in 1826. The school had an enrolment of 16 pupils and it would be hoped that the Shepherd’s took advantage of this opportunity for their children. Lynn was only posted to Moreton Bay for nine months before he was transferred to Newcastle. On 25 September 1827, Lynn was transferred to No 2 Company which was stationed in Newcastle. The garrison commander Captain Robinson had been his commander on the “Orpheus”. How pleased the family must have been to leave the harsh environment of Moreton Bay and sail into Newcastle. Greeted by the white beaches of the harbour with waves gently breaking along the shore, the green slopes of the mountains and the grass lands of the promontory scattered with rural cottages, a stark contrast to the flat, mosquito ridden marsh lands of Moreton Bay. They also left behind a fast approaching summer and stifling heat of the Moreton Bay settlement. They would have enjoyed the more temperate climate that Newcastle had to offer. A letter to the editor in 1827 described the climate of Newcastle glowingly “the sea breeze modifying those extreme heats of summer, and those extreme colds of winter to which more inland places are subject, it enjoys in fact, an almost perpetual spring, for you may pick strawberries and have green peas served to table from your garden during almost every month in the year”. It must have seemed ideal after their time in Moreton Bay. At the time of the Shepherd’s arrival accommodation had substantially improved since the Newcastle colony had been established. Newcastle contained, about fifty inhabited houses, and four hundred inhabitants including the military and prisoners, with a church, gaol, hospital, a soldiers and a prisoners’ barrack; a lumber yard for the prisoners to work in, and eight inns and public houses. New barracks had been completed at the end of 1827. Of solid timber construction with wooden shutters on the windows and a shingle roof, the upper room was fitted for a sleeping apartment and the lower as a mess. Approximately 100 convicts were accommodated in these barrack. Other problem convicts remained incarcerated in the gaol. As well as these normal guard duties Lynn would also have been required to guard convicts on forays into the bush where they felled the enormous cedar trees. This duty would have seen him absent for up to a month at a time living in rough camps with the convicts until they reached their quota. They then returned to the town by lashing the timbers together to form a raft on which the timber gang and guard would float down the Hunter to Newcastle. About 30 children which would have included the Shepherd’s, attended the school run in the vestry of Christ Church in 1828. A new school room was soon to be built, however in this year all the students were apparently accommodated in the vestry. Alexander McCauley is entered as school teacher in the 1828 Census (taken in November) however John Gabbage was appointed school teacher in July of that year. To meet the needs of the inhabitants, Newcastle had three bakers, one regular butcher, and several occasional ones, besides carpenters, shoemakers, masons and nearly every description of useful tradesmen, and was plentifully supplied with provisions and necessaries of every sort. Their oldest daughter, Mary Ann, aged 10 years, was considered old enough to take up employment and she is shown in the 1828 Census as being employed as a servant to Francis Williams, an ex-convict and one of Newcastle’s storekeeper. It is hoped that this would have been a relatively settled and pleasant period of their life. Just over 12 months after their transfer to Newcastle another son, Lynn, was born on 4 February 1829. He was baptised at Christ Church on 22 February 1829. Each man will be allowed from 40 to 100 acres of land according to the quality of the soil and the situation in which he may be required to settle on his entering into a bond that he will reside on and cultivate his land for a period of seven years on pain of forfeiture. He will be furnished with all the necessary implements of husbandry. If married he will receive a cow from the Government herd on taking possession of the land and a second cow at any time within three years when he shall have cleared and stumped ten acres. Each man will be allowed the usual rations (spirits excepted) for himself and his family for 12 months from the day of his discharge to be issued at or in the neighbourhood of his farm. The ration to be forfeited if he or his family absent himself or themselves from the farm. A log hut will be put up for the accommodation of such men as are married. By this time, Lynn was 33 years old, married with five children, and he would have seen his future in the colony. He accepted the disbanded soldiers “grant of land”and was discharged on 24 August 1829. 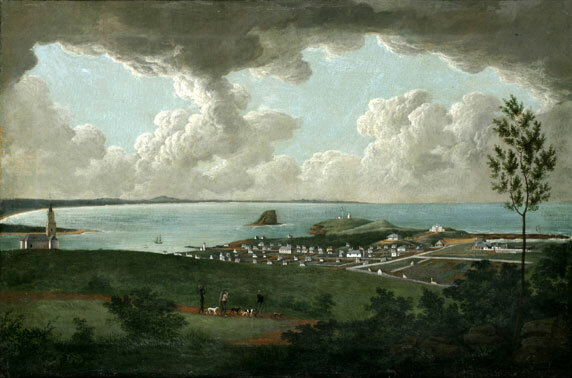 It is no wonder he sought to stay in New South Wales, as surely his prospects in Britain could not match those available in the colony, with grants of land and opportunities for employment. 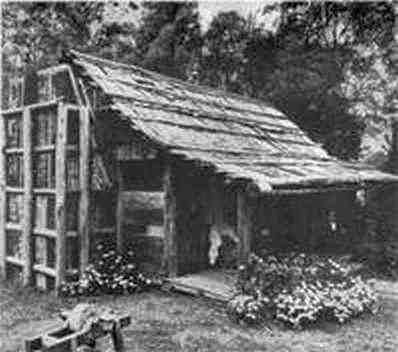 Lynn Shepherd, had now became a landholder, granted 80 acres at Bong Bong, between Moss Vale and Bowral. They called the farm “Mount Pleasant”, number two of eight grants in that locality. The farm now called “Harby Farm”still exists today on Eridge Park Road, Burradoo. It would not have been an easy life as they struggled to establish home, and an income from crops. Even such simple requirement as water proved difficult as there was no water storage and water had to be carried from the creek in a wooden bucket. With one convict, James Marsh, eleven year old Charles and five year old John to work the land. The Shepherd family managed reasonably well on their land for a few years, but would have been heavily dependent on Government rations for many months. The family increased in size with another son, James Arthur, born at Bong Bong in 1831 and a daughter, Sarah, was born 17th July 1833. At Sarah’s birth, Lynn described himself as a veteran pensioner and settler. Their daughter, Mary Ann, had probably continued in service and is recorded as marrying William Tiece, at Cobbity in the Narellan district, early in 1833. She was only 14 years of age. After a four year drought, a group of landholders from the area including Lynn Shepherd, repeatedly petitioned Governor Darling and even went to the extent of making the petition public in the The Sydney Gazette and New South Wales Advertiser in February 1831. “Since the time your Memorialists sent in their last representation, their difficulties have been greatly aggravated and multiplied. Live stock of all kinds has sunk to prices ruinously low, and farming produce, of every description, has been greatly depreciated in value. Your Memorialists have had the mortification to see their property, by the changes of the times, lose its value, and their former sources of income entirely fail ; still they have borne up with patience and perseverance against the pressure of the times, and by every act of economy they could put in practice, have endeavoured”. They railed against the importation of crops, particularly barley which could be produced in the colony and now that the weather had improved and gave the possibility of better production they were faced with seeing their potential markets destroyed by importations. The Quaker, James Backhouse, visited the area in October 1836. He wrote of his visit to these veterans’ allotments and gave a very harsh and not altogether warranted impression of the veterans. It is my impression that neither laziness, stupidity nor drunkenness was the cause of their poverty. They would have worked long and hard physically in order to feed themselves and to try to earn enough from their crops to improve their financial situation. There appears to have been no positive response from the Governor and if anything the situation appears to have worsened for the Shepherds. In 1832 Lynn had his convict withdrawn for lending his services to Richard Losely without authority, adding to the strain of attempting to make a living in the harsh conditions. On 10th October Lynn was forced to mortgage his land to William Hutchinson, an ex-convict, who had turned himself into a wealthy landowner. Shepherd sought employment off the farm until an opportunity arose for him to apply for a position with the mounted police. Not surprisingly, with his previous experience, he was successful, and in November 1835 he was appointed to the police station at Lumley, near Bungonia. The Shepherd family moved to Bungonia, leaving their oldest son, Charles, now 16 years old, on the farm at Bong Bong. In 1836 Elizabeth gave birth to their last child, naming him William. 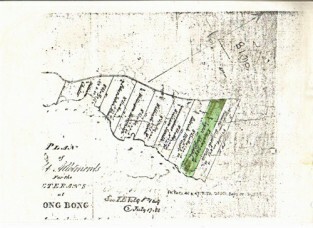 This tragedy was compounded when in the early part of December 1840, Elizabeth applied to the Colonial Secretary for permission to draw deeds of the land to the said 80 acres of land at Bong Bong, as she had no means of support and seven children to care for. The Colonial Secretary’s reply was, ‘that in consequence of the conviction, the land in question had been forfeited and the request could not be complied with’. It is not known where Elizabeth and the family lived during Lynn’s imprisonment. In 1841, a William Lee voluntarily confessed (on his death bed) to having committed the crime which Lynn had been convicted. Indisputable proof of the correctness of his statement led to the Commandant of Norfolk Island petitioning the Governor to be ‘pleased to recommend your Petitioner to the favourable consideration of your Excellency for a free Pardon which your Excellency in the exercise of mercy was good enough to accede there to and for which Act of Justice your Petitioner will feel ever grateful’. Lynn was granted an immediate pardon by Governor Gibbs. Lynn sought restitution of his land grant at Bong Bong, and his army pension. Both were restored, though he did not receive back pay for the time he was imprisoned. In the Government notice, dated 9th November 1841, Governor Gibbs stated that he was returning the original land, Veterans Allotment 2, No. 81, named “Mt Pleasant” to Lynn Shepherd to commence on 1st January 1842. The description of this land grant states that it was the original land granted on 21 September 1829. Lynn only lived a few years after his return from Norfolk Island. He held the position of turnkey at the Berrima Gaol sometime between 1842 and 1845 (the exact dates are not known). The hardship of Lynn’s life had taken its toll and he died on the 15th August 1845. He was buried at All Saints Church at Sutton Forrest. There is no headstone, however, but his descendant have erected a memorial stone. Their eldest son, Charles, was heir to the property and he sold Mount Pleasant a year after his father’s death for 60 pounds which included the 30 pounds needed to discharge the mortgage. Almost three years after Lynn’s death, Elizabeth married for the second time on the 21st March 1848 to Richard Chappell, a bachelor. She was about 56 years old when they married in the parish of Braidwood. Elizabeth and her second husband continued to live in Braidwood until her death on the 28th August 1872. She is buried in the Mongarlowe Cemetery near Braidwood. There is no headstone. Lynn Shepherd was my grandmother’s great grandfather. Her father was also called Lynn. Hello Carol thank you for contacting me. My Email is margnay1@bigpond.com. Look forward to hearing from you.